This week, the week before the Easter celebrations is known in Greece as Megali Evdomada, Holy Week or Great Week. Today is Megali Pempti, Holy Thursday, the day that traditionally the people of Greece hard boil and die their eggs the colour of the blood of Christ – red. Tomorrow is Good Friday, a day of respect and mourning for Christ. In the evening is the service of remembrance when the priest takes down the icon of Christ off the cross, wraps it in linen and places it in the casket. The casket is called the Epitaphion which has, this week, been decked with flowers by local women and girls. After the service, the Epitaphion is carried around the village or town as in a funeral procession. Back at the church the Epitaphion is often raised high over the doorway so that the congregation can pass underneath it. To pass between the dead Christ and the ground is considered to be very lucky. On Saturday, the fast that so many take just leading up to Easter is continued. In the late evening towards midnight there is the Church service that celebrates the rising of Christ. At midnight all light in the church is extinguished. In the darkness at the alter the priest turns with a single candle crying ‘Christos Anesti’, Christ is risen. All the people have brought their unlit candle to the church to receive the light of Christ, brought all the way from the cave of Christ’s nativity in Jerusalem, from the priest. They try to carry their light back with them to their house which will bring luck for the family for the year. Also they make a cross over the doorway in candle smoke to bless the house. Then the great bonfire is lit as well as crackers and maybe even gunshots may be heard as the celebrations begin. Here in Crete a guy is dressed and burned on the fire as Judas. Now that midnight has passed the fast is over and meat and so on can be eaten again. In the morning of Holy Sunday the spits are fired up and whole lambs are roasted. After the meal one takes the red eggs and cracks them against the next person’s egg saying Christos anesti. If your egg is the last to crack then you will have very good luck. We call this festival Easter but for the Greeks it is called Pasxa. This literally means the passing over of Christ from here on earth to the Kingdom of Heaven. Greek Easter is often on days different to our own date of Easter. The reason for this is that the date of Greek or Orthodox Easter is still calculated on the Julian calendar, which is some 13 days behind the more modern Gregorian calendar. Greek Orthodox Easter should fall on the Sunday that follows the first full moon after the spring or vernal equinox. Also Greek Easter is always after the Jewish Passover. 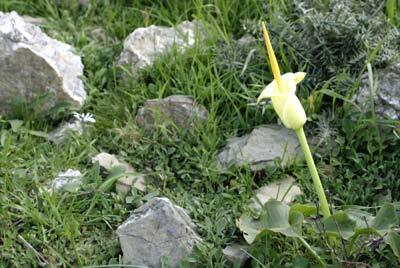 I guess that you all know by now that the Island of Crete has a huge number of wild flowers. 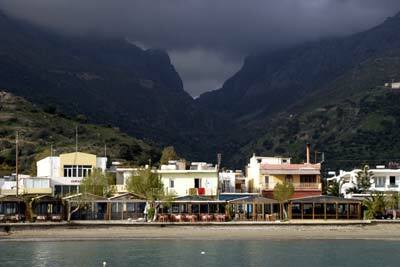 Many are found only in Crete. It is in the springtime that these flowers mostly burst out into their individual beauty. And that is when I’m on the prowl with my trusty camera. These pictures were taken over the last few days . . . 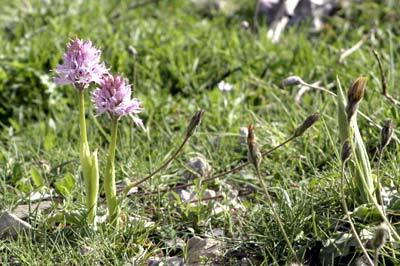 These are the beautiful pink Cretan Orchids that simply burst out of the ground and are soon in wonderful colour. This is a fine wild lily – hey, I’m not a botanist, I just love the flowers. 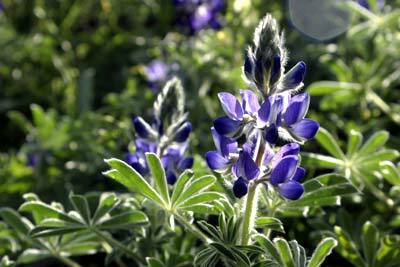 Here we have the superb wild lupins that grow wonderfully in Crete. I have seen olive groves full of them. 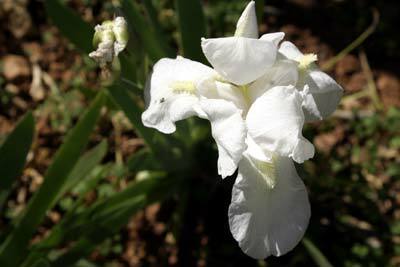 This is the splendid, almost silk like, wild iris that I have only seen in Crete. They are large flowers that open with a soft delicacy and last for a few days when they die and a second one, brand new, opens on the same stem. Enjoy.